Church of All Russian Saints is a parish of the western American diocese and Russian orthodox church abroad. Thank you for considering Church of All Russian Saints in your charitable contribution plans. The mission of The Dante’s Boys Foundation is to facilitate active participation in sports for under-served youth. Our objective is to preserve the legacy that Dante Benedetti left the San Francisco community by supporting the development of the next generation of Dante’s boys. The mission of the Ecology Center is to inspire and build a sustainable, healthy, and just future for the East Bay, California, and beyond. We transform the ideals of sustainability into everyday practice. We deliver information you can act on, infrastructure you can count on, and leadership for lasting change. The Epilepsy Foundation of Northern California (EFNC) is a 501(c)(3) charitable organization leading the fight to overcome the challenges of living with epilepsy and to accelerate therapies to stop seizures, find cures, and save lives. EFNC is dedicated to providing information, resources, and support to the over 180,000 Northern Californians living with epilepsy. 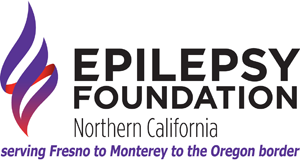 Our goal is to ensure that people with seizures are able to participate in all life experiences, to improve how the community views epilepsy, and to dispel myths about this condition by providing information through training, events, and programs.Thank you for considering the Epilepsy Foundation of Northern California in your charitable contribution plans. The Epilepsy Foundation of Northern California (EFNC) is a 501(c)(3) charitable organization leading the fight to overcome the challenges of living with epilepsy and to accelerate therapies to stop seizures, find cures, and save lives. EFNC is dedicated to providing information, resources, and support to the over 180,000 Northern Californians living with epilepsy. Our goal is to ensure that people with seizures are able to participate in all life experiences, to improve how the community views epilepsy, and to dispel myths about this condition by providing information through training, events, and programs.